Michigan’s Attorney General Bill Schuette filed charges against two companies over the public health disaster that has unfolded in Flint’s water supply over the last few years. The charges include negligence, public nuisance, and fraud. Flint’s water has been in trouble since 2014 when the state switched the city’s source to the Flint River. 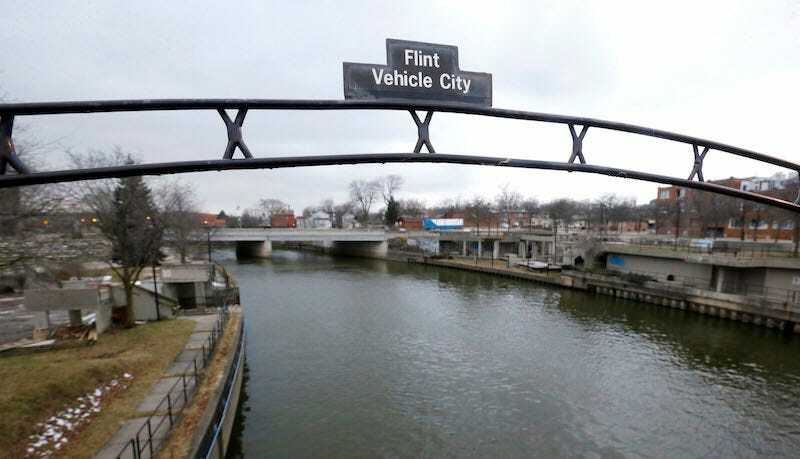 The water from the polluted river was made even worse by Flint’s aging and corroded pipe system, which leached lead into people’s drinking water. The city eventually switched back to Detroit’s water supply last year, but by then several health problems and even deaths had been linked to the poisoned water. The suit, which you can read in its entirety here, was filed in Michigan’s Genesee County on Wednesday morning. The state of Michigan alleges that two water services and engineering companies, Veolia and Lockwood, Andrews & Newnam (LAN), were negligent in their oversight of Flint’s water pipe infrastructure. They failed to foresee the problems that could occur, and failed to address the public health crisis in a timely fashion. The suit alleges fraud against Veolia for its false and misleading statements to the public regarding the safety of Flint’s drinking water and compliance with state and federal standards, in its taxpayer-funded analysis of the Flint water system. Michigan wants compensation for the current catastrophe as well as for the public health problems that will continue to crop up for years into future. If Michigan’s suit is successful, the state says the companies could be on the hook for hundreds of millions of dollars. The state also left the door open to further charges, saying that “additional claims” against Veolia and LAN, and perhaps even more companies, could be forthcoming. The Attorney General specifically referred to a decision not to provide appropriate corrosion control, which resulted in a significant decline in water quality, a decision that was made by the City and the MDEQ, not by LAN. Contrary to statements by the Attorney General, LAN was not hired to operate the plant and had no responsibility for water quality, but, and although LAN was not asked, LAN had regularly advised that corrosion control should be added and that the system needed to be fully tested before going online.